Screaming Eagle Ready Mix was honored by the City of Clarksville for their role in shielding mourners from seeing protestors at a Ft. Campbell soldier’s funeral. On June 22, 2017, all of the drivers and trucks from Screaming Eagle Ready Mix lined up outside McReynolds-Nave & Larson Funeral Home in Clarksville to help shield mourners from protestors of Westboro Baptist Church who had planned to march at Sgt. William Bays’ funeral. 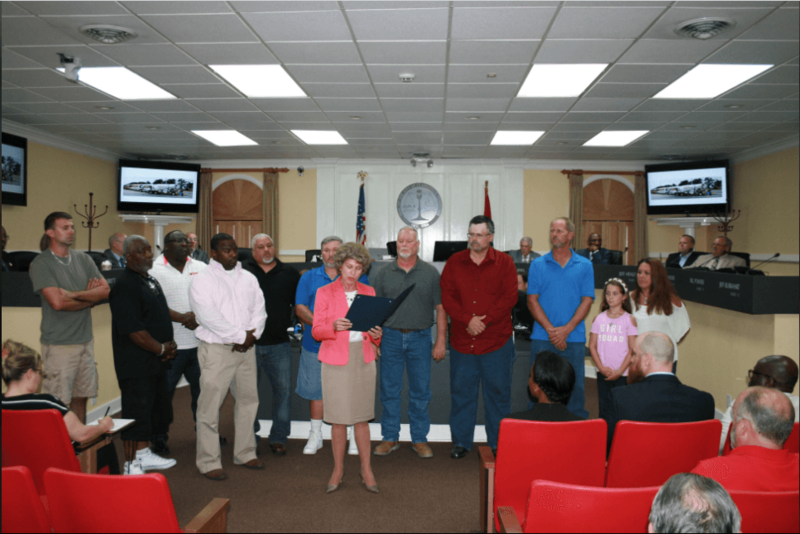 The City of Clarksville honored the locally-owned company by proclaiming July 6, 2017 as “Screaming Eagle Ready Mix Recognition Day” to honoring the company.